New Vista Films is a Motion Picture Corporation dedicated to the production of feature films depicting positive role models along with stories of redeeming value. 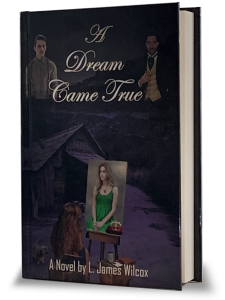 Our current feature film in development slated for theatrical release is titled, “A Dream Came True” Based upon the novel by L. James Wilcox, a powerful stunning portrayal of racism, heartache, love and redemption at the turn of the century. Please enjoy the music creations of Palmer Fuller – Copyright © 1997. All Rights Reserved. Larry James Wilcox, President of New Vista Films Incorporated, is a seven time award winning motion picture producer /screenwriter with over thirty five years’ experience. He has achieved expertise in upper management, corporate operations. Mr. Wilcox has written and or produced twelve feature film projects, and has produced recordings of major recording artists and music videos at the RCA Studios in Nashville, Tennessee, as well as motion picture sound tracks at Twentieth Century Fox Studios in Culver City. 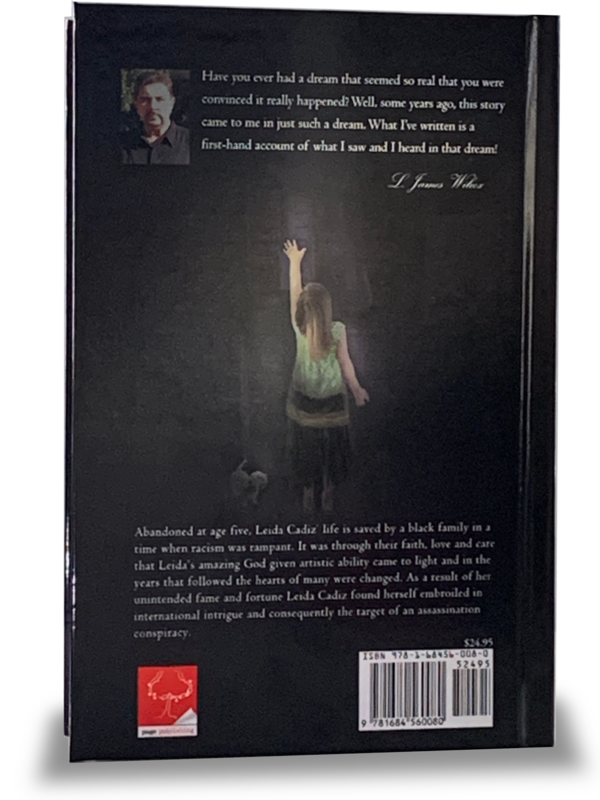 His current feature film project in development is based upon his recently released novel, “A Dream Came True,” a motion picture designed for worldwide theatrical release with major stars. 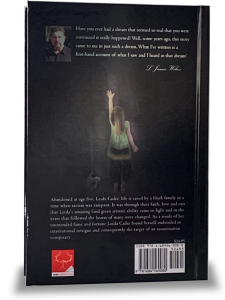 The story is a powerful portrayal of racism and abandonment giving way to redemption and love. Bob Siner is one of the handful of senior entertainment industry executives who have the clout and know-how recognized in a tight circle of peers, He has acquired, in his 30 years in the top echelons of the industry, a highly respected expertise in the management, corporate operations, administration, business affairs, production, marketing and sales, advertising, distribution operations and business practices of major entertainment companies. He is a former President of MCA Records where he worked for 17 years. Some of the executive positions he has held in the industry are Vice President of Wave Systems Corp., President and CEO of Marquee Music, Director of Global Media Services, President and CEO of Sound Works Studio, CEO of Trans Continental Entertainment, Executive Director of the Pasadena Playhouse State Theater of California, and President of Entertainment Consultants Inc. He currently serves as President of DCC Compact Classics, Inc.
Richard Mann has Produced and Directed numerous award winning feature films, television specials and music videos over the past twenty years. He brings to New Vista Films a high level of expertise and is well known in the Motion Picture Industry as a Producer who delivers quality productions on time and on budget. Parmer Fuller brings to New Vista Films his musical expertise as a movie and television composer. He has scored over twenty motion pictures. His film music has been performed live by the Boston Pops Orchestra. A recipient of degrees from Harvard University (B.A. ), Indiana University (M.M.) and UCLA (Ph.D.), he is the music director/conductor of the San Diego Civic Light Opera at the Starlight Bowl, conducting four musicals there each summer. He also teaches and conducts as Adjunct Professor at the University of Southern California. how, as a young woman, Leida Cadíz overcame seemingly insurmountable obstacles when surrounded with the love and support of a black family at a time when racism was rampant. It was through their love, faith and nurturing that her artistic talent would come to light and change the hearts of many, while taking her to a place of social prominence. Her unintended fame and fortune, however, came with a cost that would lead to her becoming embroiled in international intrigue and consequently the target of an assassination conspiracy. Faced with the certainty of death, she must find a way to slip into obscurity. It would not be until the year 1954 that the totality of her life would be fully revealed. This historically accurate story celebrates the life and times of Texas Ranger Captain Jack Coffee Hays. In 1843, Hays and 36 valiant Texas Rangers introduced, for the first time in warfare, Colt Paterson five shot revolvers. In their 84 combative encounters against overwhelming numbers of Comanche warriors, Hays and his Ranger Company never suffered a defeat. Then in 1847, when war with Mexico broke out, Hays and his Rangers volunteered to become the First Mounted Regiment leading to the defeat of Santa Anna and his army once and for all. Jack Hays’ fame quickly spread across the nation in dime novels and newspaper accounts as history recorded him as the quintessential western hero of all time! Then in 1849, news reached San Antonio that gold had been discovered in California! The temptation for new found riches was more than even Jack Hays could ignore, or was it his need for more adventure? His fame preceded him and, upon his arrival in San Francisco, he was unanimously elected Sheriff of San Francisco. A year later, he would find himself engaged in the largest single Indian battle of his fabled career as he, along with John C. Fremont, led 300 volunteers up against 3,000 Indian renegades at Lake Tahoe, Nevada. As always, Jack Coffee Hays prevailed! A modern day gold rush story of two men born a hundred and seventy years too late. Big Jim Walker and Travis York are throwbacks to another era and are descendants of their very namesakes and two of the founders of Prosperity. Big Jim Walker is the Judge of “Prosperity” and Travis is the Town Marshall. In its heyday, Prosperity was a rip roaring mining community overflowing with Argonauts from all corners of the world in search of “striking it rich!” Sadly, just as fast as the gold was discovered in 1849, it “pinched out in 1852!” Today Prosperity is on the verge of dying out altogether due to high unemployment and an almost non- existent economy, unless our two heroes can locate the lost Bonanza Mine. They devise a plan that will ignite a modern day rush for gold to spur their economy! Not all the newcomers to their beloved town are law abiding folks, with the exception Patrice Carlisle, a beautiful opera star from San Francisco who quickly captures the heart of Travis York. A dilemma presents itself as a consequence of their manufactured modern day gold rush, as the very town Walker and York love just may be destroyed altogether as a result! Comedy, romance and nostalgia abound in this light hearted comedic drama. Nathan Pizzo brings to New Vista Films expertise as an accomplished Producer and Developer of Web technologies and 3D animation. His proven excellence in e-commerce and Web related activities worldwide with major corporations such as Intel and Snap-on Tools puts New Vista Films on the cutting edge. He has personally built dozens of medium to large Web sites this year alone and collaborating on numerous others. This experience will be invaluable during upcoming phases in the growth of New Vista Films. Copyright © 2019 New Vista Films - All Rights Reserved.